Utah’s bench for professional dance, for a performing arts community of its size, is deep in talent and experience. However, not all dancers can commit to the practical demands required of many professional companies with year-long seasons or annual contracts running 40 weeks or longer. 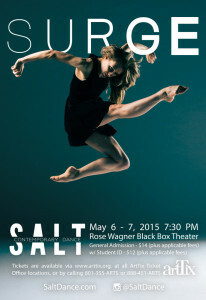 SALT Contemporary Dance, founded in 2013 as the region’s newest contemporary ballet company, already has performed in public several times, including a free concert last fall which was sponsored by the Cottonwood Heights Art Council as well as community rehabilitation programs that focus on at-risk youth. Garrett Smith, one of the choreographers featured on SALT Contemporary Dance’s upcoming ‘Surge’ concert. The company is set to reach a milestone in its formative development next week with its ‘Surge’ concert, which will be performed in the Black Box Theatre at the downtown Rose Wagner Center for Performing Arts. Tickets are available for the May 6 and 7 performances which begin at 7:30 p.m. The concert features a half-dozen new works including ‘If We Linger,’ an 18-minute dance composition choreographed by Garrett Smith, a Salt Lake City native in his late 20s who is quickly gaining a foothold among prominent dance artists in the United States and around the world. In fact, a week after the SALT premiere of his work, he will see another new work performed at Ballet West’s Innovations 2015 concert. 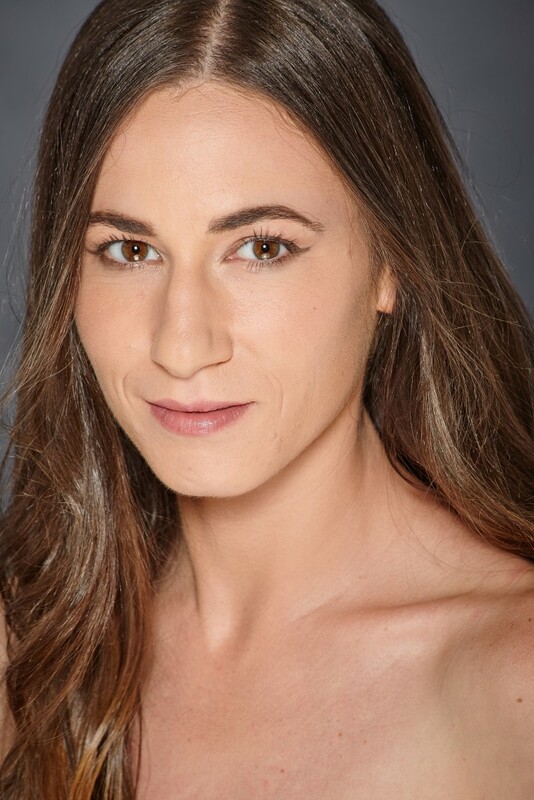 Smith, who also has created work commissioned by the Houston Ballet as well as the Norwegian National Ballet, won this year’s Genesis International Choreographic Competition sponsored by the Milwaukee Ballet. 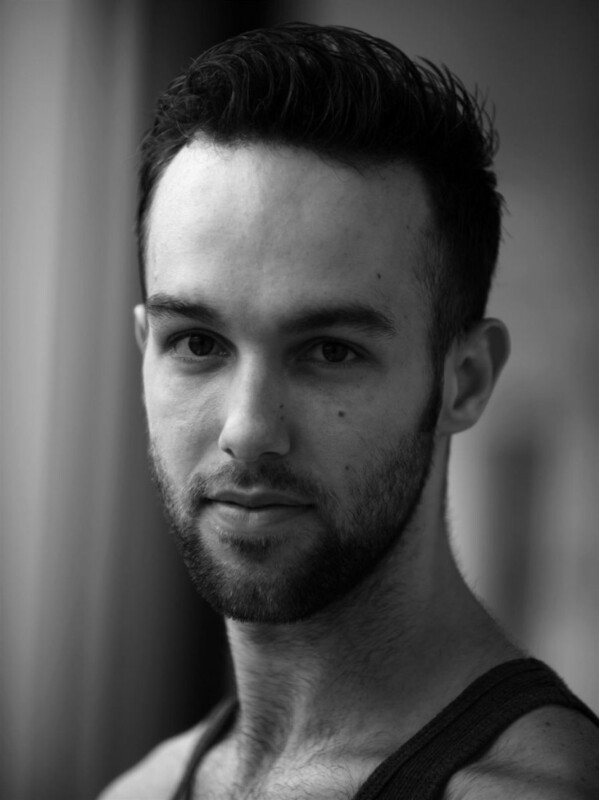 His new work will be part of the company’s 2015-16 season. Smith’s ‘If We Linger’ is for his teenage brother who suffers from a brain condition in which he does not always have control over his movements or physical gestures. “The piece is an opportunity for us to explore about how we can overcome the tendency to manipulate and control our own bodies in movement,” he explains in an interview with The Utah Review, which took place earlier this spring at a rehearsal in the company’s Draper studio. While the piece has a clear structure, Smith inflects it with innovative surprise moves and elements that are good metaphors for representing the condition his younger brother deals with in his daily life. 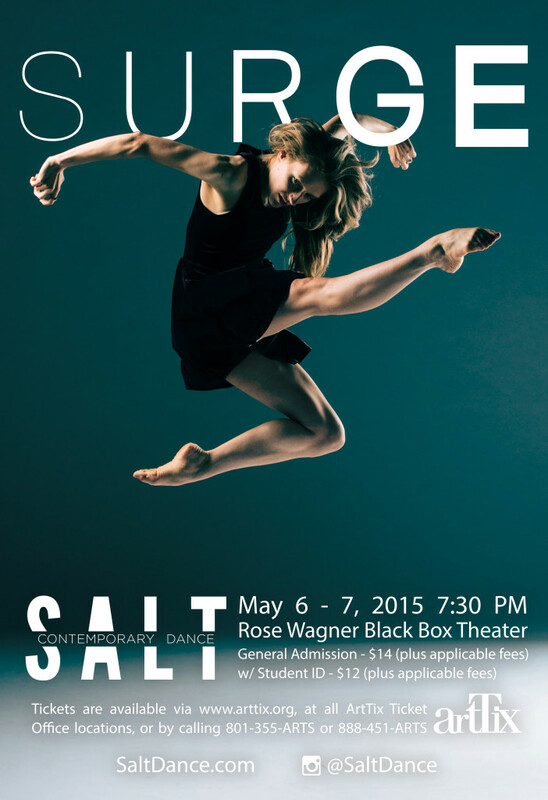 SALT Contemporary Dance follows the model of The Northwest Dance Project, based in Portland, Oregon, which has become an ideal platform for dancers who are grounded in ballet training and experience but who are looking to push their bodies. They look to expand their dance movement vocabulary, performing works that experiment in blurring aesthetic boundaries and generate new hybrid forms for contemporary dance. “Many of our dancers want to expand the range of motion in performance as well as opportunities to become more confident in improvisation,” Nielsen explains. As suggested by Smith’s work, SALT tries to avoid labeling or categorizing various movement vocabularies of dance with a single identifier. 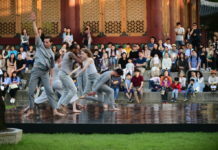 Rather, the creative process gives both choreographers and dancers the opportunity to draw their own connections between a particular dance’s artistic background, heritage or derivation and the diverse vocabularies of dance movements and techniques which comprise the art form’s currently vast territory. She believes SALT gradually can achieve a similar artistic presence in Utah, given the depth and breadth of experience many of the region’s dancers have. SALT’s current company members have resumes that include performances with The Northwest Dance Project, San Francisco Conservatory of Dance, Oakland Ballet and Utah Regional Ballet. Many also are alumni of dance programs at The University of Utah, Utah Valley University, Brigham Young University and University of Arizona. As one indicator of SALT’s long-term potential, in the last decade, The Northwest Dance Project has premiered more than 160 works from choreographers representing every geographic region of the globe. In addition to Smith’s premiere, the company will present new work by Lauren Edson, Will Johnston, Lindsey Matheis, Eldon L. Johnson and Joni Tuttle McDonald, which includes original music as well as scores incorporating music by contemporary composers including Philip Glass and Lo-Fang. For more information about the company and tickets for the performances, see here.